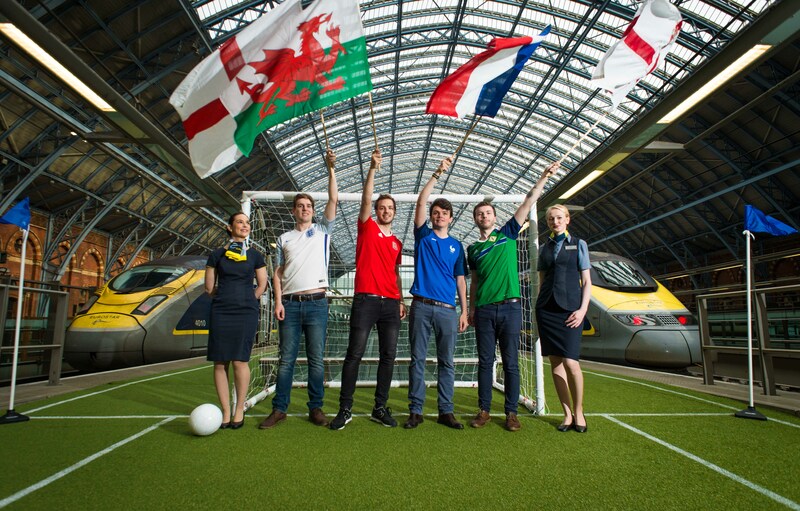 Eurostar partnered with the Foreign & Commonwealth Office (FCO) today to give football fans a ‘green carpet’ send off and wish supporters a successful trip as they make their way to the Euro 2016 tournament. 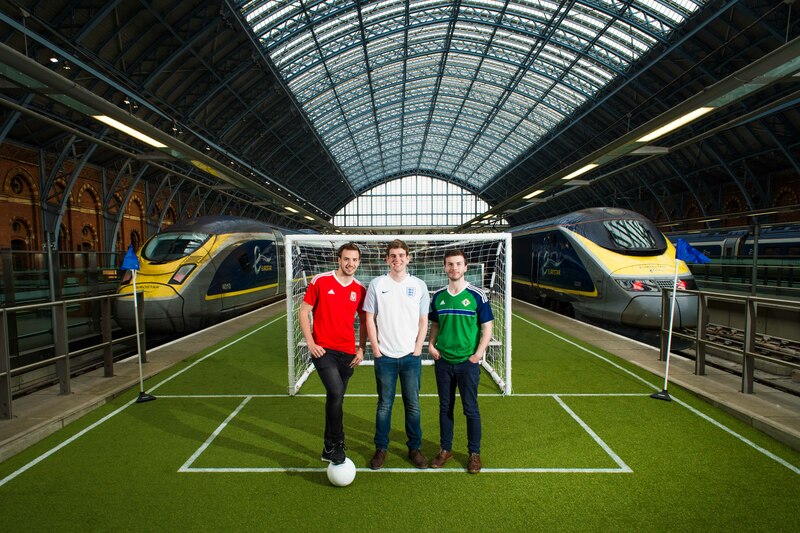 A Eurostar platform at London’s St Pancras International has been transformed into a mini football pitch, as almost a million passengers are set to travel by Eurostar during the ‘Euros’. The busiest day for Eurostar travel is 10th June, with over 30,000 passengers travelling, as the hosts kick off the tournament in the Stade de France. The FCO and Eurostar waved off the first set of fans this morning, inviting them to set foot on the turf and share pre-travel pictures to show which team they’re supporting. With direct high-speed travel from London to Lille, Paris, Lyon and Marseille, Eurostar is well-placed to carry football supporters from across the UK to cheer on their team this summer. Throughout Euro 2016, Eurostar will be running a variety of activities #forthefans. Football tables will be set up at stations, along with pre-match interview fan zones, giveaways and a special on board menu. A Eurostar squad of experts will be kitted out with tips and advice for fans making their way to stadiums. Visit http://football.eurostar.com/ and fco.go.uk/Euro2016 for more information. The current Eurostar train was first introduced into service in 1994 carrying 750 passengers and operating at speeds of up to 300kph. Since then, the fleet of 28 trains has carried more than 140 million passengers between London and the Continent. Following their refurbishment these trains will continue to form a core part of the Eurostar fleet. The new Eurostar e320 will carry around 900 passengers at speeds of up to 320kph.